Catastrophic flooding dominated the news last year: beautiful neighborhoods that transformed into lakes overnight, dotted with scattered roof tops and small boats that rescued distressed residents. Unfortunately, these heartbreaking scenes are becoming more common than ever. Statistics show that water and flooding cause more damage than any other type of property loss. The majority of large loss mitigation claims, which handle the type of devastation we witnessed on the news, are filed because of water. If the large loss is yours, it’s important to know what you should and shouldn’t do about the damage. It’s also important to consider your approach no matter your location or climate because water damage can occur in any home. 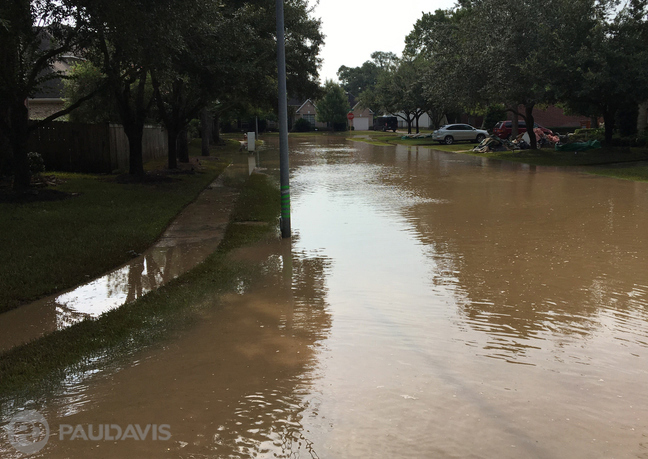 Many unlucky homeowners, fortunate to live outside flood zones, have nonetheless discovered extensive water damage caused by hot water heaters or malfunctioning second-floor washing machines. The most important thing to know immediately after the emergency strikes? Extensive water damage doesn’t go away with time. It doesn’t dry out and go back to normal. When water floods your home it quickly leads to serious structural damage, chemical and biological contamination, mold, health issues and significant mitigation costs. Quick, smart action can prevent continuing damage and manage repair costs. Many homeowners wonder if their homes can be saved. Recovering from flooding and water damage are extremely emotional experiences, with grieving over what has been lost, uncertainty about the future, loss of stability and community, and fear for loved ones. Highly qualified mitigation companies like Paul Davis are skilled at handling the full spectrum of recovery needs that all victims experience: physical, administrative and emotional.With call centers open 24/7 for your emergency needs and a promise to be onsite with hours, Paul supplies everything that’s needed for large loss mitigation. When the worst happens, this is no time for second best®.